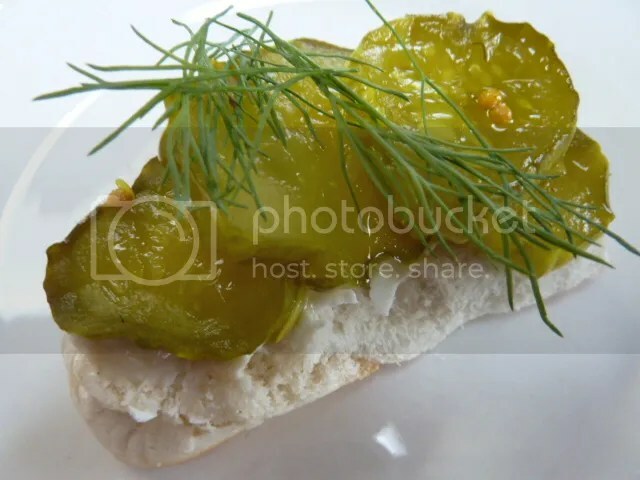 Pickles, canning and summer! Reminds me that the weather will be turning cold. Mom used to make lots and lots of canned pickles, Canned tomatoes, Canned wild mushrooms, jams, jelly’s and the list goes on. 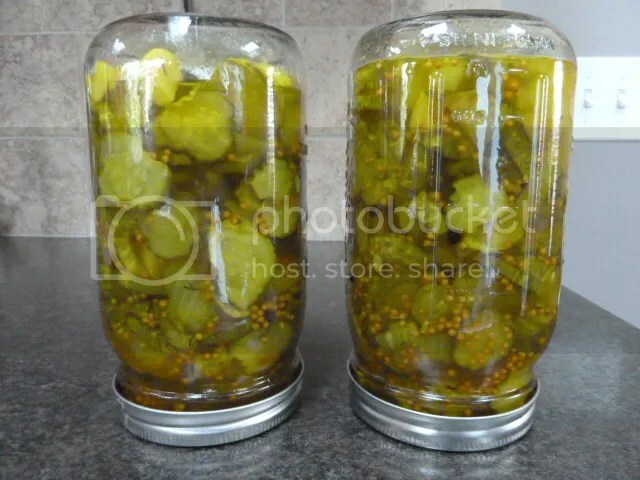 Mom always made the best pickles. I never asked or helped can and now shes gone. So I started doing the same by trying out and tasting to see what works! this is the recipe that I came up with which taste almost like store bought only better. Take the time to make your own, you will not regret it. 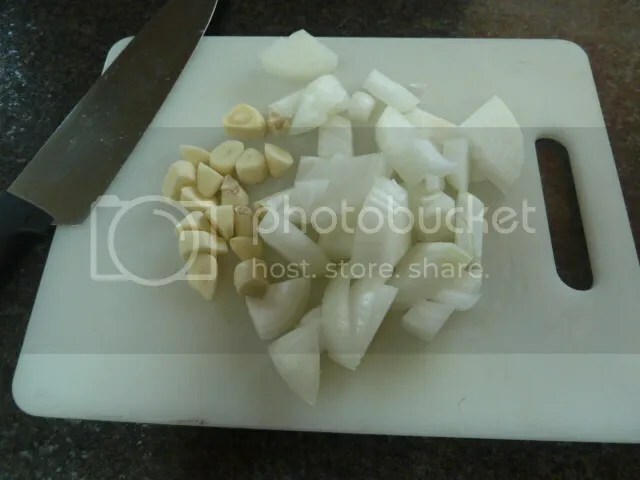 Slice your pickles 1/8 inch thick and Onions into medium chunks! 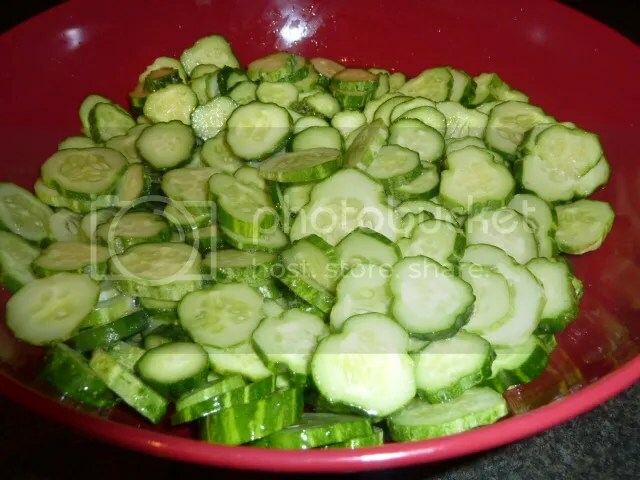 In large mixing bowl add pickles onions and mix well. 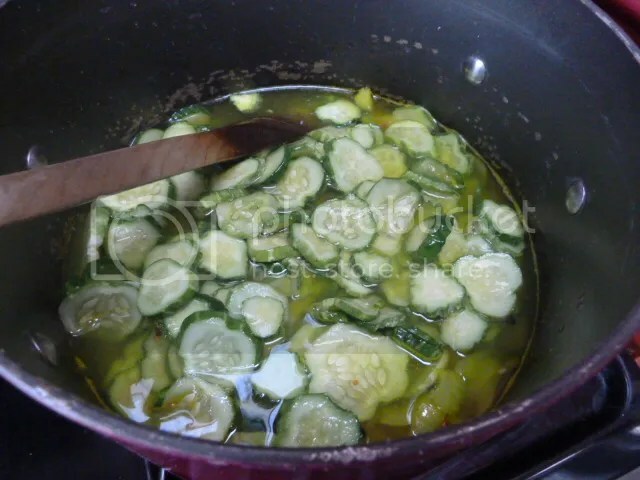 Mix salt and water until dissolved, add to pickles! Cover with a large plate and put something heavy on top. Let it stand overnight. 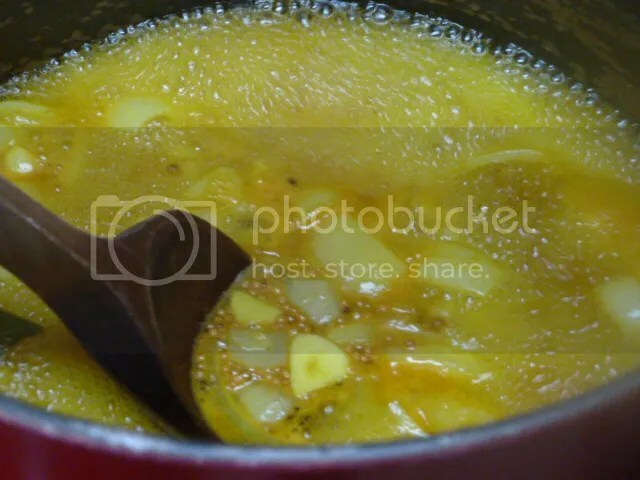 In a large saucepan add, brine from pickles, peppercorns, cloves, garlic, vinegar, sugar, turmeric, and bring to a boil. 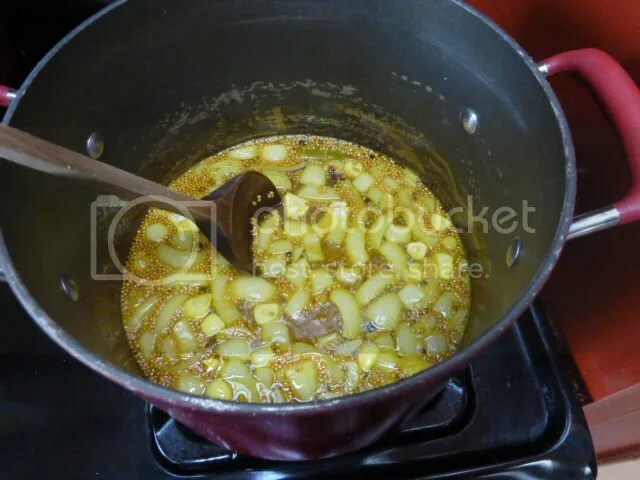 Add pickles and dill, let it simmer/boil for 10 minutes. 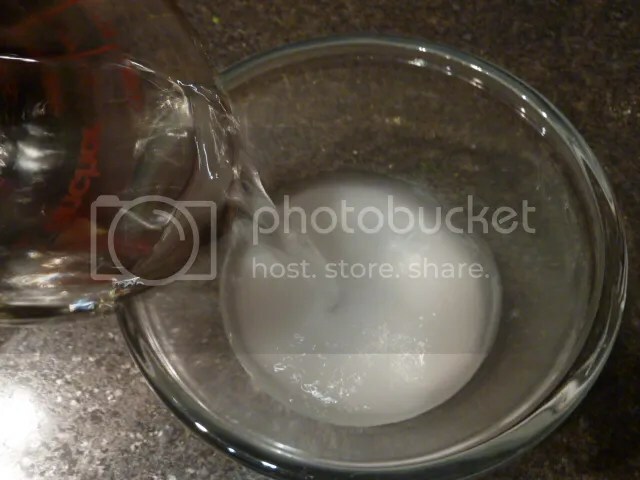 get two mason jars sanitized ( I do it in the dishwasher) and fill with pickles and pickle liquid leaving a 1/2 head space. Cover with lid and screw on band tight. 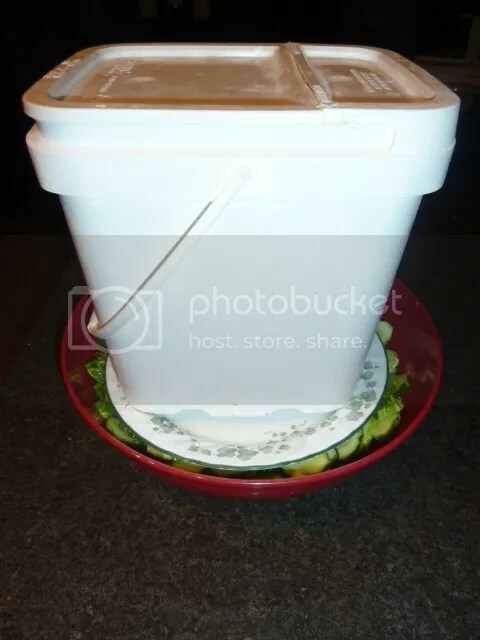 Boil in boiling water for 10 minutes take out and stand them on the lid, when cool to touch store in cool place. Pickles will be ready to eat in 7-10 days.